National Pump & Energy athlete and multiple Australian Motocross Champion Matt Moss made a welcome return to the winner’s circle for the National Pump Monster Energy Kawasaki Racing Team at the special military round of the 2016 MX Nationals in Nowra, NSW, on Sunday. 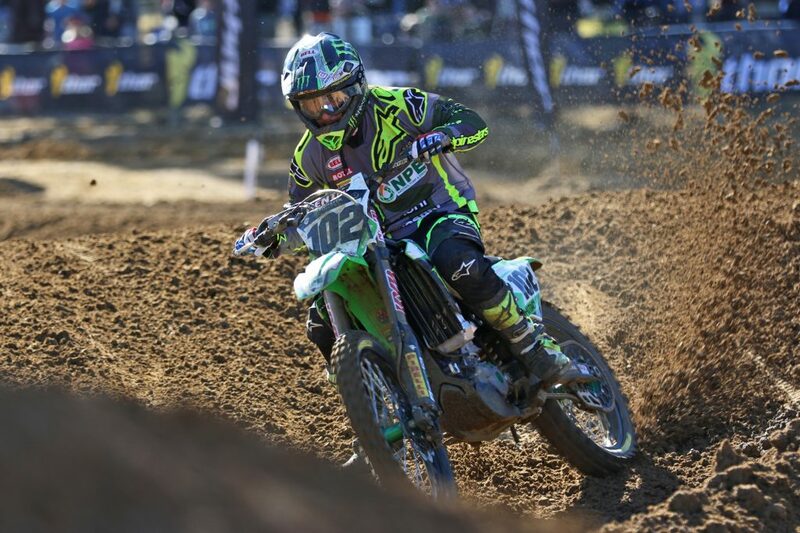 After a slight mishap in Super Pole saw him finish fifth in qualifying, Moss and his 2016 KX450F stormed to the front of the field of the opening MX1 race and extended a comfortable lead on his way to taking the chequered flag. In the second 30-minute race of the round Moss engaged in a fierce battle with fellow championship contender Dean Ferris before making a pass for the lead and again pulling an advantage at the front of the field. However, in the later stages of the race Moss hit a rock around the tight circuit and went down, allowing Ferris to take both the race and round win on countback points. 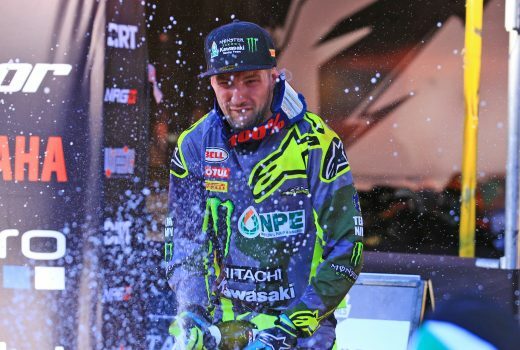 As part of Team Navy, it was still a fantastic result for National Pump Monster Energy Kawasaki Racing Team. “Despite tying on points for the round win, it was a bit of a disappointing day really,” Moss reflected afterward. “I felt great, the bike was awesome and I’m so happy with this team, but a couple of errors cost us the overall win today. 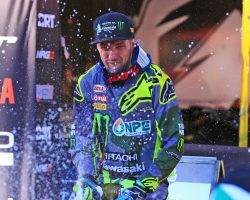 With his second overall for the round, Moss now sits in fourth position overall in the MX1 championship, just seven points off a podium placing. 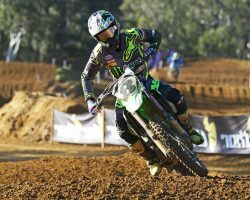 Nowra also saw a solid performance from National Pump Monster Energy Kawasaki Racing Team’s Kade Mosig, who finished his day in fourth overall within the premier MX1 ranks. He’s now placed fifth overall in the championship race. 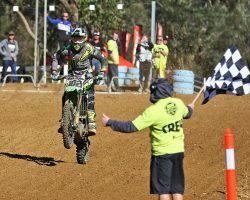 After a standout third place in qualifying, the Victorian fought his way to an impressive third place in the opening MX1 race. In the second race Mosig again found himself near the front of the pack but crashed twice on his way to sixth place. “The first half of the day was decent, but I’m really frustrated at myself for dropping the bike twice in the second race, as that hurt our podium chances,” Mosig explained. 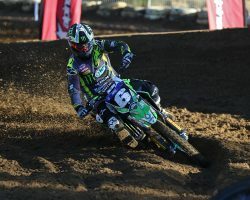 Meanwhile, in the entertaining MX2 class, Jake Moss started the day strong when he emphatically put his KX250F on top of the class in qualifying, half a second quicker than his nearest challenger. However, Moss had disappointing outings in the day’s two races. In the first he went down on the opening lap but fought his way back to eighth place, then crashed out of the second race in the first turn. “After starting the day so strong I thought my year was going to turn around for the better, but it wasn’t meant to be,” a frustrated Jake Moss recalled post-race, now placed eighth in the MX2 championship hunt. 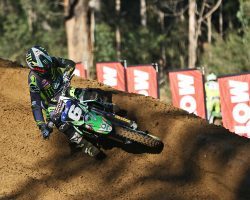 The seventh round of the 2016 MX Nationals will be held at the picturesque hillside Conondale circuit in Queensland on Sunday, 17 July.